For the Removal of Proteins, Animal Fats, Grease, Blood, Food & Drink Spills. 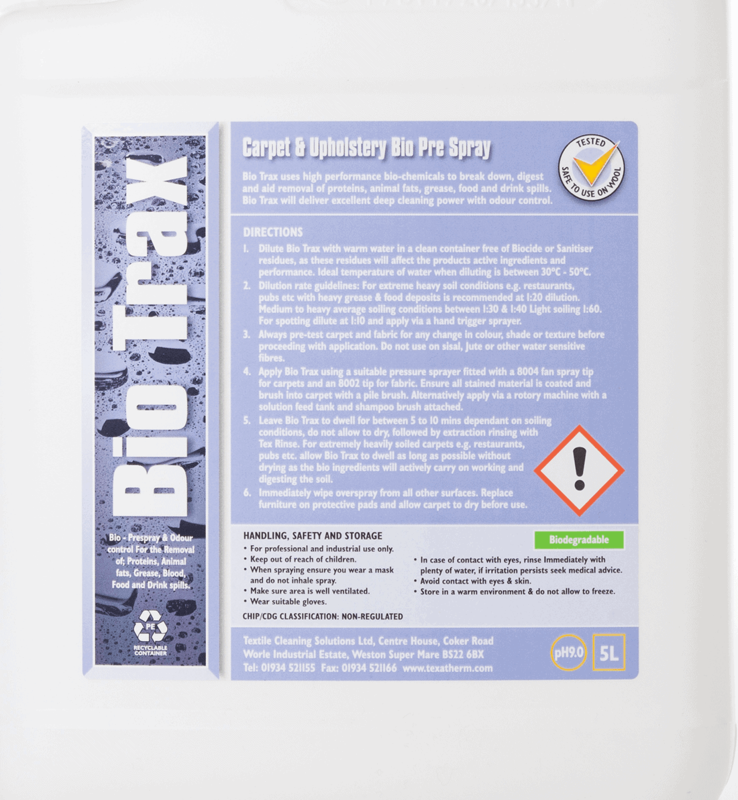 Bio Trax uses high performance bio-chemicals to break down, digest and aid removal of proteins, animal fats, grease, food and drink spills. Bio-Trax is an enzyme cleaner used for the Removal of Proteins, Animal Fats, Grease, Blood, Food & Drink Spills. 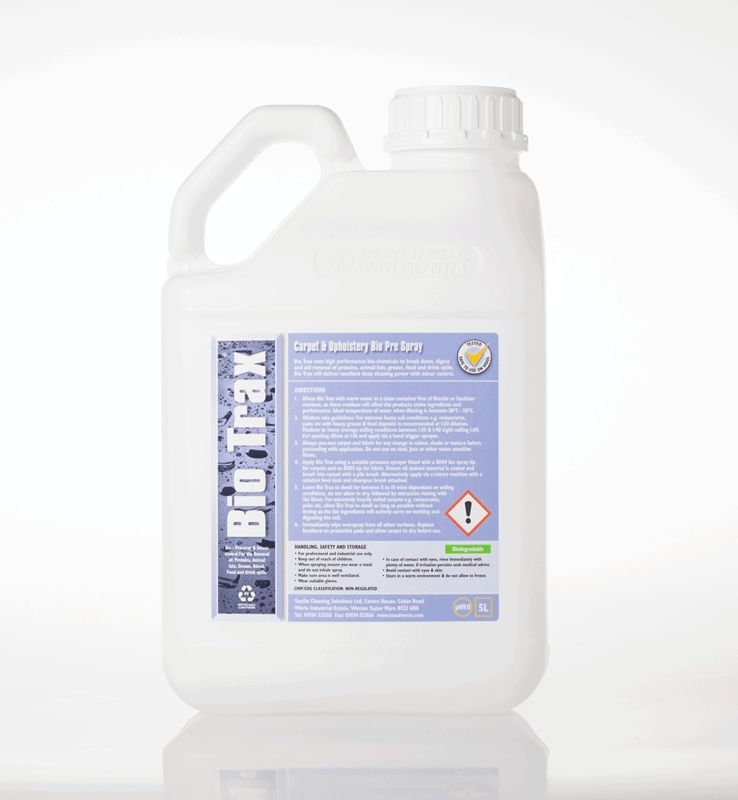 Bio Trax uses high performance bio-chemicals to break down, digest and aid removal of proteins, animal fats, grease, food and drink spills. 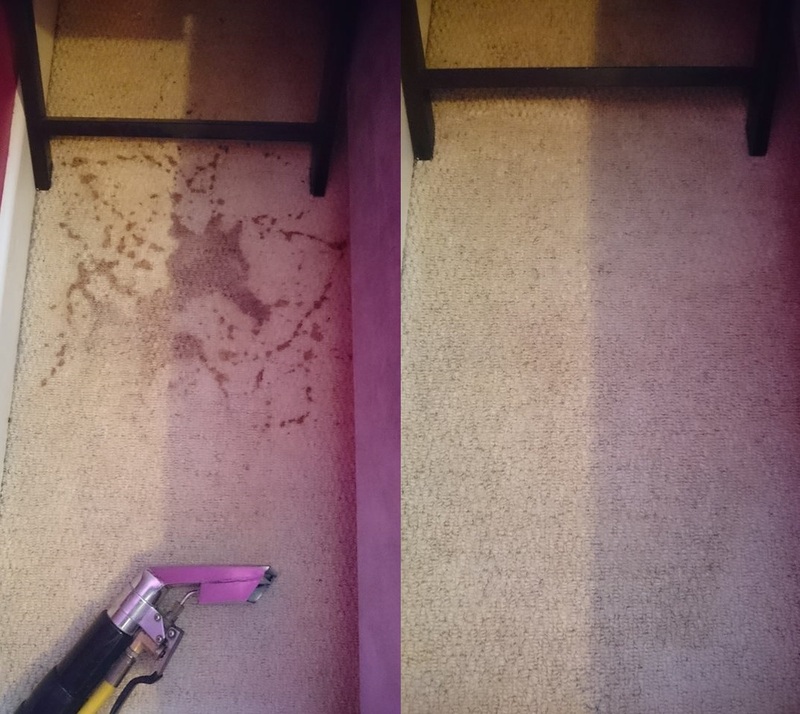 Bio Trax will deliver excellent deep cleaning power with odour control.